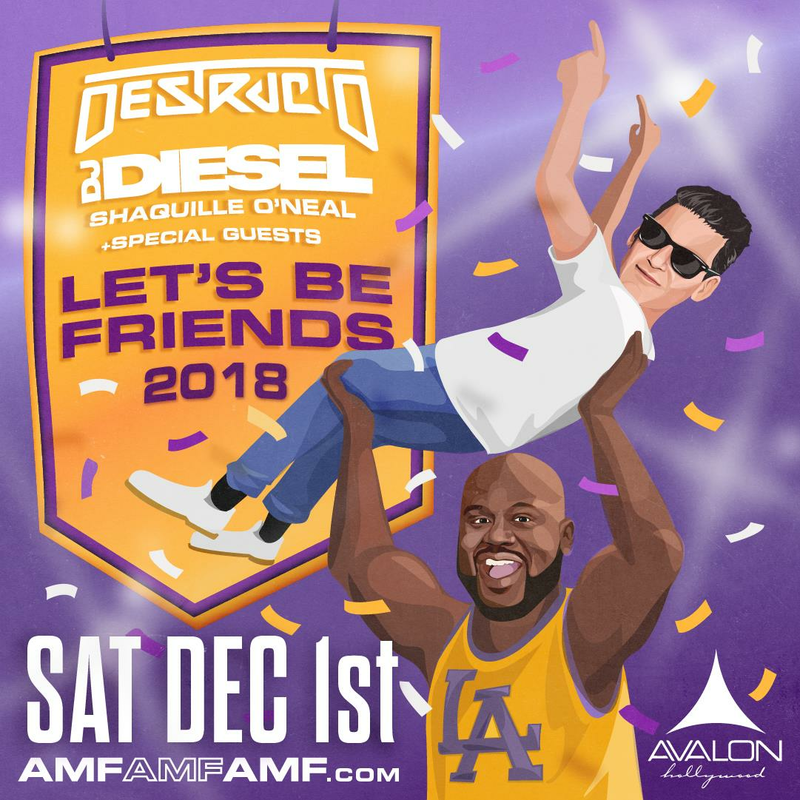 AVALON is honored to announce the return of global powerhouse Destructo as he will be making his return to the famed Hollywood venue, this time with DJ Diesel + Special Guests, on December 1st. Get ready for a night full of house, riddim, and mayhem as these two legends shut down Hollywood’s staple electronic venue. Gary Richards, known by his stage name of Destructo, is a leading artist in the electronic music industry. 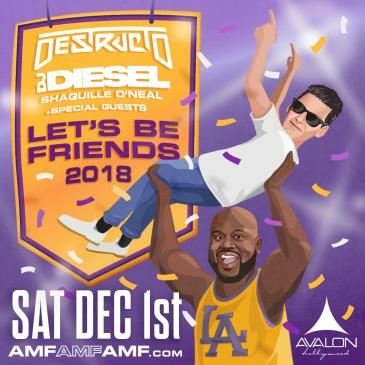 Previously, during his last visit to AVALON, Destructo sold out the entire venue for a key stop on his Let’s Be Friends tour. Destructo has been a game changing entity to many big names in the electronic community. Now pursuing his own brand, AMFAMFAMF, he has started his very own music festival which touches down at key cities for shows around the nation. Overall, Richards has been a huge hand in the movement of the modern electronic music scene and culture over the course of the last five years, making this a night to see a true legend in action. More commonly known as Shaq, DJ Diesel will also be performing in addition to Destructo on this exciting night. This past year has been a wild year for DJ Diesel, playing the likes of Ultra Music Festival and even throwing his own party named ‘Shaq’s Fun House’ where names like Diplo and Steve Aoki played sets themselves. DJ Diesel’s career didn’t start that way though; growing up he played small shows to make extra cash, then turning to his most famous part of his career while playing in the NBA, but now he has returned to one of his other passions and it is only looking up from here for him. This will be a rare night to catch two of the most prolific artists in the electronic music game, and surely won’t be one to be missed. Grab your tickets now.